Well.... this tag was made for me really wasn't it! Everyone knows how much I LOVE Disney, Universal and Orlando in general so when I heard of this tag competition I let out a little excited squeal, checked out the questions and headed to my laptop straight away! FloridaTix are a well known ticketing agency which provide customers with great deals on tickets from everything from Disneyworld to Legoland! I have used them myself for my times in Florida and most recently I got our Universal tickets through them - total bargains compared to prices at the parks and amazing quick service! Firstly, I would be so excited to put the sorting hat on! I'm going to have to say Gryffindor (total cliche I'm afraid) .... mainly because I seriously want to be pals with Potter and his crew and I feel like the hat would know this! I'd like to think I'm brave and have a bit of courage......plus they get all the action and adventure most of the time - I want that.... minus the death threats! B. Vanellope Von Schweetz (Wreck It Ralph) because, well.... think how much candy she would have, I have a major sweet tooth so I'd happily have a sweet filled dinner with her! Umm.... I'm going to say a small cute one that doesn't eat people! I've done my research and have decided on Orithopods.... hahaha I totally sound like Ross from Friends! I mean... there's no point picking a T-Rex... it's not like they'd be a good pet! 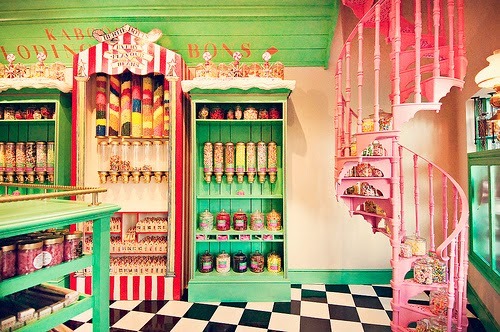 Like I said before I have a major sweet tooth so Honeydukes would be a must for me, I love that place! Every flavour beans anyone? Oh this one is hard... just one scene? I could pick 100! I think I'm going to go with the magic carpet ride from Aladdin! It would be like a really cool flying rollercoaster - think of the views.... and you could get to places so quickly! AND Aladdin is a cute little thief isn't he haha! Has to be Hermione's Time Turner - then I would be able to get done everything I need too and a cute piece of jewellery too! 8. Name one unforgettable experience/moment you’ve had at the Orlando Parks. 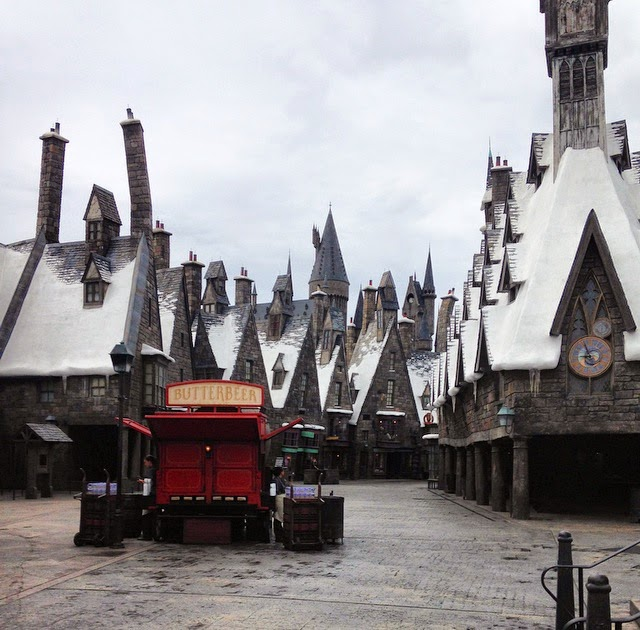 Back in September when me and my boyfriend were in Orlando we managed to be the first and only people in Hogsmeade at the very beginning of the day! To see it completely empty and having it all to ourselves was amazing, so peaceful - the total opposite of what it's like the other 99% of the time! I'll never forget it! This is one of the photos my boyfriend took!